Japan and high fashion are like twins; the market is huge for Louis Vuitton, Chanel, Celine, Hermes and Dior. Just don’t forget to claim your tax back after you’ve done shopping. 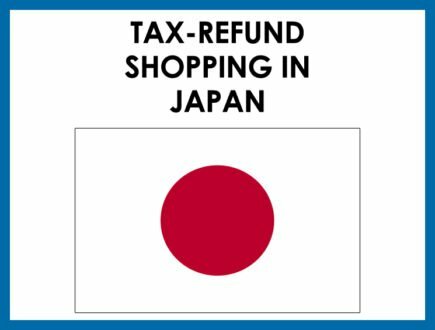 Yes, there is a tax refund program in Japan and we’re going to talk about the details on how you can get the consumption tax back. Read all about it here. Shōhizei means consumption tax in Japanese. It’s tax on Goods and Service just like VAT in Europe and GST in Singapore. The consumption tax is now set at 8%. Who are eligible for Tax Refund? Foreigners with permanent resident outside Japan, basically tourist. Your stay in Japan needs to be less than 6 months in order to be qualified. You can also apply for Tax Refund if you’re a Japanese citizen but living abroad for more than 2 years. You need spend minimum ¥5401 JPY (consumption tax inclusive) in order to be eligible for Tax Refund. How to claim your Tax Refund? There are two ways to get your Tax Refund. 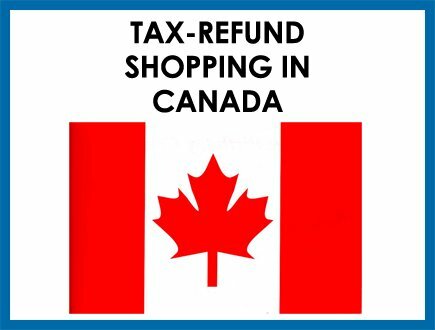 Some stores do their own tax refund. If this is the case, then you will get your tax refund immediately. Proceed to 1. for details. 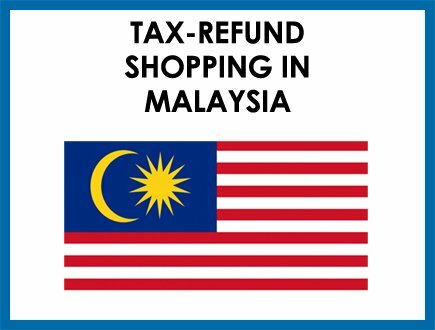 When a store do not do their own tax refund, you need to apply tax refund at the Tax Refund Service Counters. Proceed to 2 for details. 1. When a store do their own tax refund. The easiest way to get your tax refund back is to buy at a store that process their own tax refund. Usually these stores have a different price tag – it shows ‘Price + Tax’. 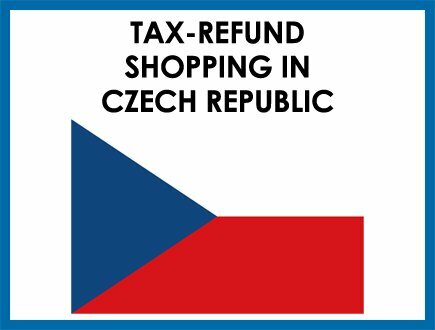 When a store do their own tax refund, you don’t need to go to the Tax Refund Service Counter, which will save you a lot of time. You can either look for the ‘Tax Free’ sign at the storefront or ask the staff directly. Tell the staff you are excempt from consumption tax because you’re a tourist. They will ask you for your passport for verification. Even tough the store does their own tax refund, you still need to fill in the Tax Refund Form. After the passport verification, the staff will hand you a Tax Refund Form, fill in the necessary information. If you need help, ask the staff for assistance. When everything is done, you can now pay for your goods without the consumption tax. When you’re at the airport, check-in the sealed goods at the customs. Also hand over the Tax Refund Forms to the staff. The customs will inspect both. 2a. At the store: do they participate to tax refund program? Not every store participates the tax refund program, so look for the ‘Tax-Free’ sign or even better – ask the staff. At the check-out, inform the staff about your tax refund claim. You will be asked to show your passport to verify that you’re a tourist. Yes, it’s a very long name. But it basically means Tax Refund Form. After the passport check, the staff will give you a Tax Refund Form. Fill this form in, if you have questions, go ahead and ask the staff. IMPORTANT NOTICE: The Tax Refund Form is only valid on the day of purchase, so make sure you get your tax refund processed immediately. Make sure you’ve got all the documents before leaving the store. Save the Tax Refund Form and receipts in a safe space. Also double check the receipts, because handwritten receipts are not accepted for tax refund. The Tax Refund Service Counters are usually located in the mall or at the airports. Ask the staff for directions. Do note that big shopping malls can have long waiting lines. Be patient. You get your tax refund back in cash. The return is always lower than the 8% consumption tax because a fee will be deducted from your tax refund for processing the application. In some stores, the fee can be as much as 1.1%. The Tax Refund Counter Staff will also give you the Tax Refund Papers back in your passport. Your purchased goods will be sealed in bags and you cannot open them. When you’re going to leave Japan, you can pack your purchased goods (sealed) in your checked-in bags and check them in at the customs. You also need to hand over the Tax Refund Papers to the staff at the airport customs counter. Both need to be inspected.